Ten dollars these days buys not much at all — a cup of coffee and a sticky confection, which makes the latest edition of Australia’s most thought-provoking magazine even more remarkable value. More stimulating than caffeine, the September issue is packed with more of the sharpest writing, incisive commentary and enduring insights that have always been our hallmark. If that smacks of arrogance, click here to see the latest contents. As is our custom, the magazine’s contents will be released from behind the paywall over the course of the month to come. But why wait when you can subscribe? 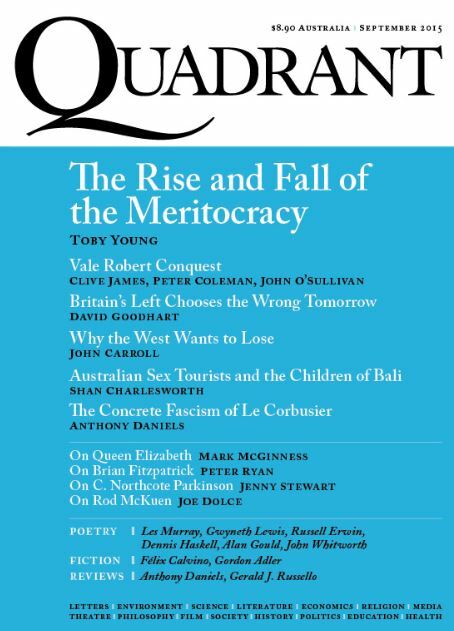 Click here to have Quadrant delivered to your letter box or computer screen.